In today’s world of the advanced technology, malicious attack are on the rise. Recently, team of malware researchers have discovered a new malware strain named Virobot which is known as a multi-taking threat that works as a ransomware by locking user’s files, keylogger by logging and stealing users keystrokes and botnet by adding infected PCs to spam. 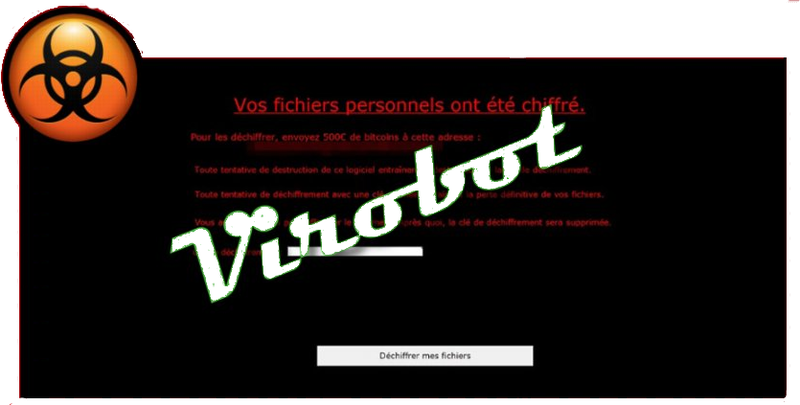 Virobot is a new malware and appears to be under the development but it has feature to connect infected or compromised machine to Spam-related botnet in order to steal the victim’s keystrokes. It compromises several component and allow it to behave as a ransomware, keylogger and botnet. First of all, it was observed in September 17, 2018. some of the security analysts are also identified it as a Virobotnet. The most surprising feature of this malware is that it stand out from its colleagues and feature is multi-tasking. Once Virobot gets installed on users PC, first of all it ensure that victim’s PC was encrypted before or not by checking the product key’s registry key and GUID. It uses the cryptographic Random Number Generator to generate the unique file encryption and decryption key and later share the gathered data to hackers via C&C server. After that it immediately start the file encryption procedure and locks the entire disk files by using the RSA file encryption algorithm. Upon performing the successful file encryption procedure, Virobot displays a ransom note which is mainly written in French language despite victim’s Geo-location. Virobot is also featured with botnet and key logging feature that connect to C&C server and sends stolen information to hacker. As per the botnet capability, Virobot uses the MS Outlook of infected machine to spend the spam emails to list of user’s contact. It sends a copy of itself or malicious file from its Command-and-control server. Virobot is also associated with powerful key logging feature. It can record almost all your activity and steals user all valuable data such as their name, bank account details, password, credit or debit card details, password and many more. This is why, the deletion of Virobot is highly recommended from affected machine. Virobot is created by scammers who are knowledgeable in the Computer programming. They uses lots of deceptive ways or social engineering tactics to compromise machine. But mainly it spread via spam emails that includes suspicious attachment and message. When you will open any message or download any suspicious attachment that arrived to your inbox from unknown sender then your PC easily get victimized by Virobot. Besides, it can also infect your machine when you download any freeware packages, update software via third-party link, visit any hacked domain and many more.